Why invest in Special Equity? "A deep understanding of accounting principles gives me a chance to get at the veracity of a company’s finances by scrutinizing the financial reports… I spend a lot of time going over the numbers. Frankly, I benefit, because I don’t believe everyone does this kind of work." Outperformed Russell 2000 for the 1-Year, 20-Year and since inception (05/01/98) periods as of 03/31/19. Outpaced Russell 2000 Value for the 1-Year, 15-Year, 20-Year and since inception (05/01/98) periods as of 03/31/19. For 100% of the periods, 10-year average annual total returns were greater than 5%. The Fund averaged a 9.3% return over all 131 10-year monthly rolling return periods. 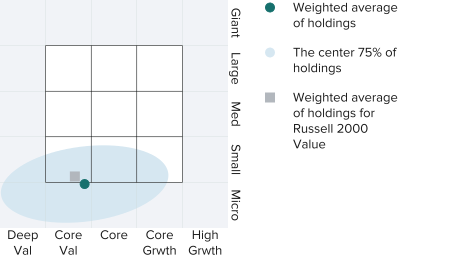 The Fund outperformed the Russell 2000 during all five downturns of 15% or more from the index’s prior historical high since the Fund’s inception.